DUBLIN and SAN FRANCISCO – Allergan plc (NYSE:AGN), a leading global pharmaceutical company, and Medicines360, a global nonprofit women’s health pharmaceutical company with a mission of expanding access to quality medicines, announced that the U.S. Food and Drug Administration (FDA) approved Medicines360’s Supplemental New Drug Application (sNDA) to extend the duration of use of LILETTA® (levonorgestrel-releasing intrauterine system) 52 mg for the prevention of pregnancy for up to four years. The FDA approval was based on a review of additional efficacy and safety data from an ongoing U.S.-based Phase 3 hormonal IUD trial, ACCESS IUS (A Comprehensive Contraceptive Efficacy & Safety Study of an IUS [intrauterine system]), with 1,751 U.S. women receiving LILETTA. LILETTA was shown to be greater than 99 percent effective in preventing pregnancy in a broad range of women, regardless of age, race, body mass index (BMI) or parity (whether or not the woman had given birth to at least one child). LILETTA is a hormone-releasing system placed in a woman’s uterus to prevent pregnancy for up to four years. Allergan and Medicines360 partnered to launch LILETTA, which first was approved in February 2015, and received an additional FDA approval in January 2016 for the single-handed inserter. LILETTA is commercially available in the U.S., and through Medicines360’s unique mission-driven model, LILETTA is available at a lower cost to public health clinics enrolled in the 340B Drug Pricing Program. “IUDs are among the safest and most effective forms of contraception and are a critical tool in reducing unintended pregnancy. As a clinician, I appreciate that the clinical trial demonstrated LILETTA’s safety and efficacy across a wide range of women, regardless of age, BMI and ethnicity,” said Dr. David Turok, Associate Professor, University of Utah Department of Obstetrics and Gynecology. LILETTA® (levonorgestrel-releasing intrauterine system) 52 mg is a hormone-releasing system placed in your uterus to prevent pregnancy for as long as you want for up to 4 years. Some IUS users get a serious pelvic infection called pelvic inflammatory disease (PID) or endometritis. These can cause serious problems such as infertility, ectopic pregnancy or pelvic pain that does not go away. More serious cases of PID or endometritis may require surgery. Removal of the uterus (hysterectomy) is sometimes needed. In rare cases, infections that start as PID or endometritis can even cause death. LILETTA may become attached to (embedded) or go through the uterus (perforation). If perforation occurs, LILETTA may move outside the uterus and can cause internal scarring, infection, or damage to other organs and you may need surgery to have LILETTA removed. Risk of perforation is increased in breastfeeding women. Allergan is a leader in women’s healthcare that is dedicated to developing and commercializing best-in-class pharmaceuticals to improve the health and wellness of women. Allergan takes a holistic and a best-in-class approach to women’s healthcare as it prioritizes educational partnerships with OB/GYNs. 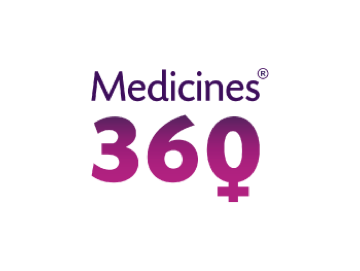 The mission of Allergan Women’s HealthCare extends beyond its pharmaceutical products to ensure that all women can make informed decisions about their health and have access to high-quality medications. Allergan is committed to investing in programs that support the education and well-being of all women.